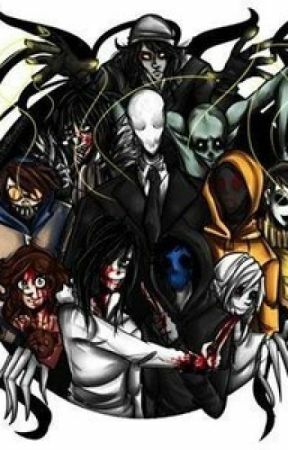 It's basically about creepypasta characters and there story of becoming who they are. 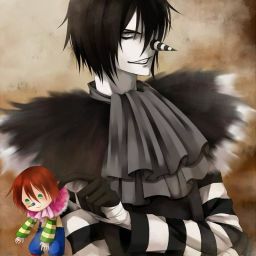 Also some creepypasta stories. The was once a vain man named ██████. ██████ loved looking into the mirror. He would often admire his own reflection for a few hours at a time and even compliment himself. He also had another problem. He would often strangle others who do not compliment his appearance into submission or in one case, death. The poor man was hit with a piece of rebar and then strangled to death. The cause of agitation is still unknown but it was enough to agitate ██████. ██████ was then arrested and sentenced to life in prison. While in jail, ██████ could not stand not having a mirror to stare into. He had countless sleepless nights. Eventually he went crazy. The other prisoners who often stared at him or insulted him all died. One by one. Cause? Strangulation or by a broken neck hit by a hard, heavy object. ██████ was transferred to a more private cell for the safety of the other prisoners. He hated other people so much that he began praying to the Devil. One night, he did a ritual to summon the Devil. He used rocks around in the prison and made a small doll with blood from the prisoners that he murdered. It worked and he came face to face with pure evil. ██████ vanished from the cell soon after. A giant, life sized, concrete doll was what was left inside the prison. Three weeks after the incident, during a prison riot, the cell was accidentally opened during a blackout that occurred. No survivors were found by the authorities the next day. No survivors, except two prisoners and a lone police officer together in the corner of the warden&apos;s office staring at what seems to be a giant concrete doll directly in front of them. They seemed exhausted but never broke eye contact with the object. They warned one another when they were about to blink. All around the prison courtyard were the corpses of both prisoners and prison guards. Most of them had broken necks with faces screaming as if they saw a ghost. The SCP Foundation was alerted to the incident soon after. When the agents arrived at the scene, the doll was transported by crane in the back of an armored truck, all while having at least three guards maintaining eye contact with it until the metal doors of the truck closed. It was transported to SCP facility ██████ and dubbed The Sculpture. The agents who transported the truck reported hearing scraping concrete against metal throughout the trip and loud breathing behind them. The object was put into a cell for further testing.